Most homeowners don’t spend a lot of time thinking about how their gutters are tested. However, understanding the importance of dependable gutters may prevent costly home repair expenses in the future. 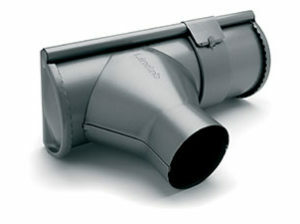 Therefore, smart homeowners consider the most dependable drainage system provided by Nordic Steel Gutters. Part of Lindab’s work is to develop and improve the Rainline product solutions by exposing them to accelerated tests in a laboratory environment. NSG tests our steel gutters in the same environment they will be used in which provides the most correct and revealing data. Lindab puts their materials through rigorous testing year after year. 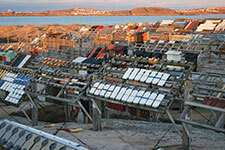 As a result, facilities are located only yards from the toughest sea shore environments available. Our facility on the west coast of Sweden or France are exposed to the Atlantic ocean. Other facilities are in sun drenched locations like south of Miami. Researchers receive valuable feedback on our products performance in different conditions. As a result, our customers get a dependable product. Swerea (Swedish Corrosion Institute) facility at Kvarnvik on the Swedish west coast. Find out how Rainline are designed to last.